Getting an In-Person Draping done can be one of the most rewarding experiences for those who want to organize their life, stop wearing colors that take away from their natural beauty, and find colors that uplift the face and figure. If you haven’t read through our very extensive about page on ebhues, we recommend you check it out. Personal Color Analysis is an investment in your image and life, so we want to ensure you know what our system is about before you come in for your draping! Don’t worry, we will be covering all this information and more during your draping and provide you with a little booklet for you to keep afterwards so you won’t feel left astray! Get your In-Person Draping with one of our qualified and certified Consultants. Darin is the Visionary and Creator of elea blake cosmetics and color studio. A passion that started with 10 pigments, has grown to a studio that manufactures a full line of makeup mediums in thousands of color options, ships globally, and is an innovator in the color analysis science with her own personal color analysis system- ebhues™. Darin attributes her success not just to the quality of her makeup and services but to seeing the beauty in every client who walks through the door or purchases makeup online. It is this mission, to empower people with color belonging, that continues to fuel Darin's professional drive. As the founder of the ebhues system, Darin has draped numerous people to find their best colors in every hue. Her experience with color has helped many individuals embrace their full spectrum of color opportunities and look incredible everyday. Lauren Battistini is founder and CEO of LFB Color Consulting, a full service color + wardrobe consulting firm. With over 12 years of experience in personal color analysis and wardrobing, Lauren has hosted events for small groups + corporate clients, partnered with large retailers + cosmetic brands, and appeared as a color + style expert for local + nationally syndicated television. 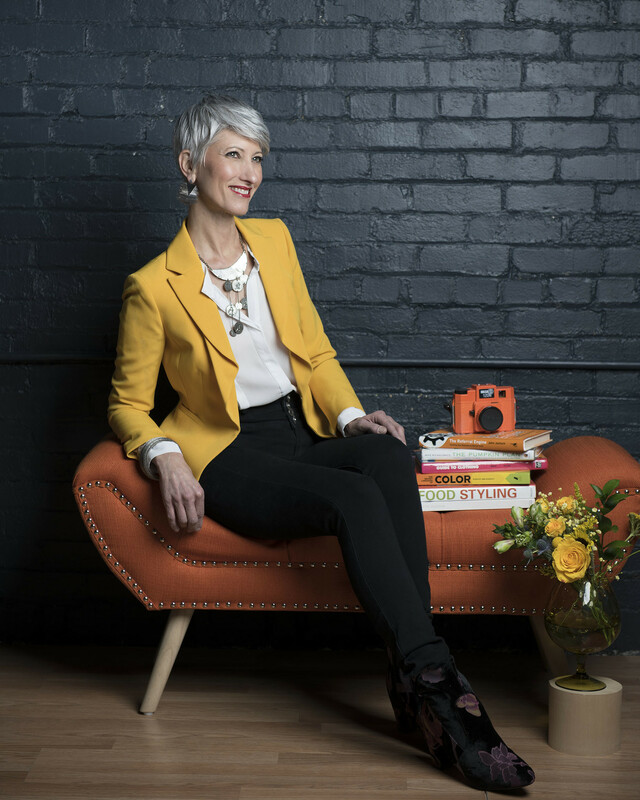 Lauren's mission is to educate people + brands on the most effective use of color for personal presentation or successful promotion of their products + services. Her commitment to clients is to stay abreast of all developments in the field of color through continuing education, and to use modern color tools to achieve the most accurate results. Lauren considers it the highest honor and privilege to have been personally certified by Darin Wright to offer the ebhues personal color analysis system to her clients. To book with Lauren visit her website for more information.